Realistic Spacieness | Spaceship! Spaceship! Spaceship! 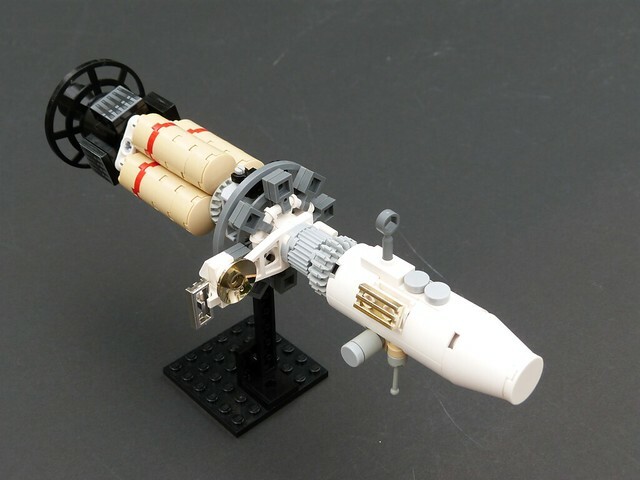 These models by Damien Labrousse really stand out for me as excellent examples of plausible near-future spacecraft, done really well in microscale. The above is an Exploration Ship and I love the heatshield thing at the front and the mid section with its jumble of criss-crossing modules. The colour scheme is muted, with bright greys, tan and white to reflect sunlight; save for splashes of yellow and metallic gold. This “Patrouilleur” (Patrol Boat) also adds some great chrome gold pieces which look totally at home in the near-future aesthetic. However this Light Cargoship seems to have stepped forward in time a touch, with a design less rooted in NASA and more akin to the Sulaco from Aliens or a comparable design; albeit with old school rocket nozzles still apparent. It’s interesting how even these quite small models, built with only a few handfuls of pieces, display enough design and detail to allow these kind of reactions. 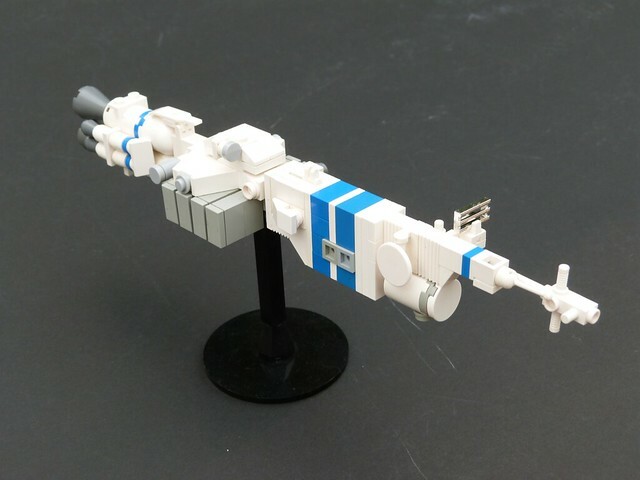 This entry was tagged microscale, real space. Bookmark the permalink. Hi. Thanks for blogging ! I built these to show what a 100 parts spaceships would look like. 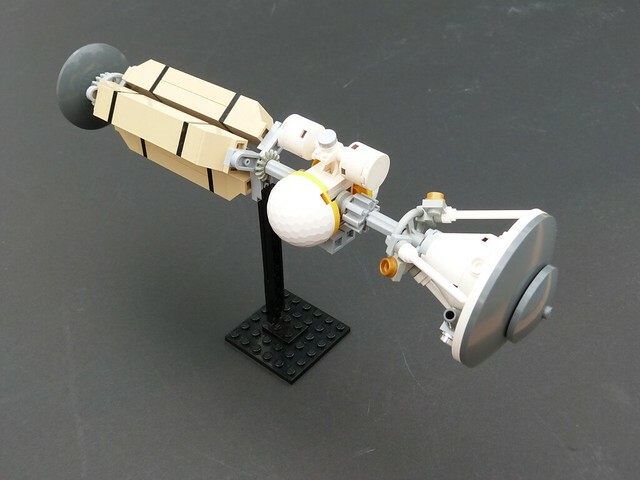 I was preparing a collective display of 800 lego spacehips named “Galactick bricks”. Cool you highlighted all detail ! You know, I think I did see something about that. Do you have any more details? Was really happy to blog these as they were really nice models. If you’re interested, we could do a some sort of more complex feature on one of your models.